Salsify catalogs allow you to share a set of products and their details with internal and external users without giving them access to your Salsify account. You set up a catalog, identify a specific set of products and view-only access to only the product details you choose, then share the link. Users with the link will only have access to the products included in your catalog, and any changes made to the catalog will be applied in real time. Catalogs also allow you to configure optional downloads of specific product content and digital assets in the format you specify. Digital catalogs are based on lists, so you can choose a simple list for a fixed set of products, or a smart list which will update in real time based on the filters you choose. The catalog is always as updated as your Salsify product content. Catalogs are often used by sales reps to give customers and potential customers access to product assortments and specific details about products, and they’re great at trade shows. You can add a splash page and branding for both the catalog and the Excel export. Track engagement with your catalog with Google Analytics. Catalogs are also very useful to provide read-only access to a set of information for internal teams. For teams like customer support, catalogs are a quick way to gain access to up-to-date information they need, without the learning curve of working in a new system, and the catalog can be tailored to streamline access to only the products and information they need. 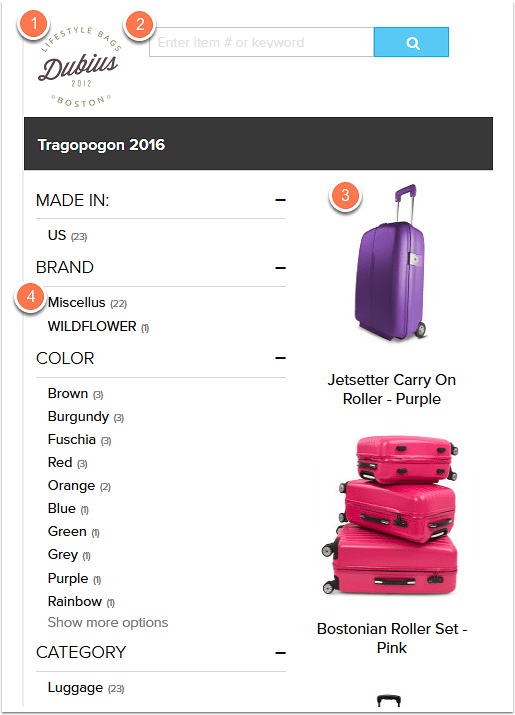 Product details can be organized under property groups that make sense for the catalog’s audience, and properties can also be labeled with terms that make sense to them without making any changes to your Salsify properties. Setup is just a few steps, and the catalog’s setup can be updated at any time. Viewers will always see the most recent version that you choose. You’ll provide the catalog viewer with a link, and when they click the link they’ll gain access to the catalog. You can set up a splash image for them to see, branding the catalog. 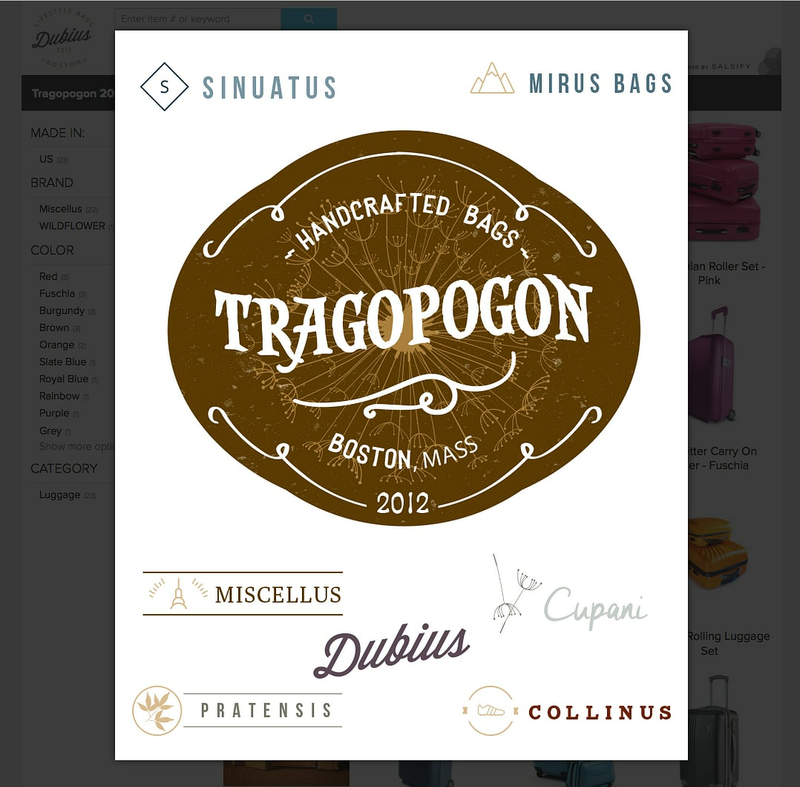 Each catalog can have its own splash image and branding, and you can set a default across all catalogs. All a catalog viewer needs to is the catalog link to access the information you want to give them. Consider the link their password - you can add to, change and update the details of the catalog at any time. If you want to remove access, just delete the link. You can configure downloads of product content and digital assets. Downloads can even contain different information from the product details view. So the catalog itself could contain the high-level information about a product, and the download could contain the more granular detail. Click here to view a demo catalog in action. Catalog visitors will see the logo you configure at the top left. This can be set for an individual catalog or for all catalogs by default. The search bar lets customers search by item number or keyword by default, or you can customize through Salsify Labs - click here to learn more about Labs catalog customizations. The product name and thumbnail for products you’ve selected for the catalog appear on this screen. Customers can click a product to see more details, or select it to add to a smaller list for export if you’ve enabled that option. 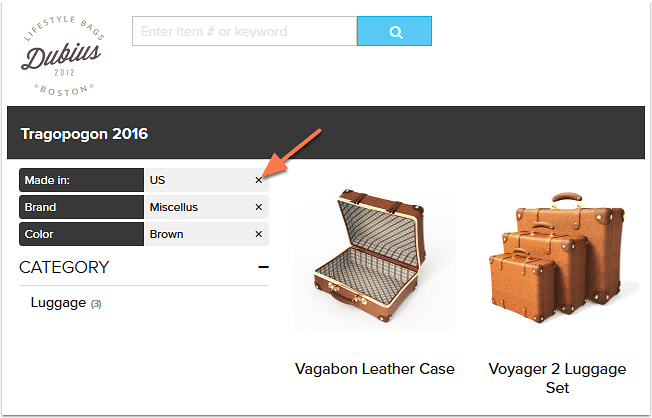 Customers can filter by any dropdown property you’ve included in the catalog. Filters narrow the results shown, and can be combined to get to a granular group of products. 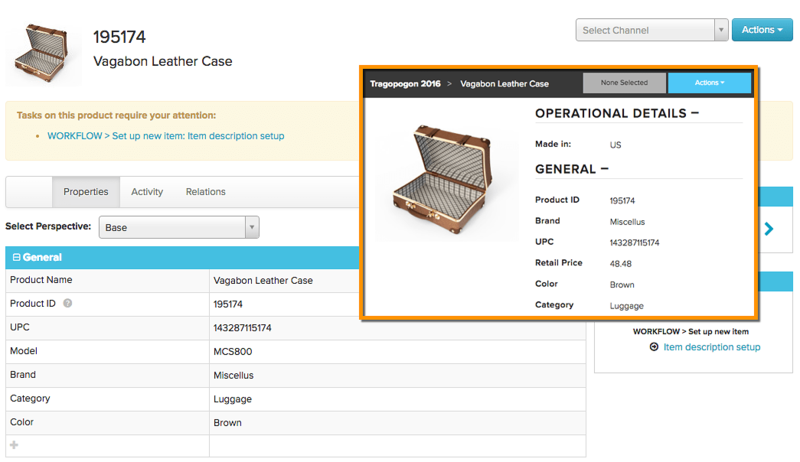 Catalog viewers only see the information you give them access to - in this case we have a few details about the suitcase, but you can see the view product page in Salsify contains much more, and the information is organized differently from the Salsify data, in a way that makes sense for the catalog. Exports can be added to the catalog for product information and digital assets. You can include different information from what you show in the catalog. This download includes dimensions not on the catalog page above. The customer will receive an email with a link to their download, and you can configure the email address included.